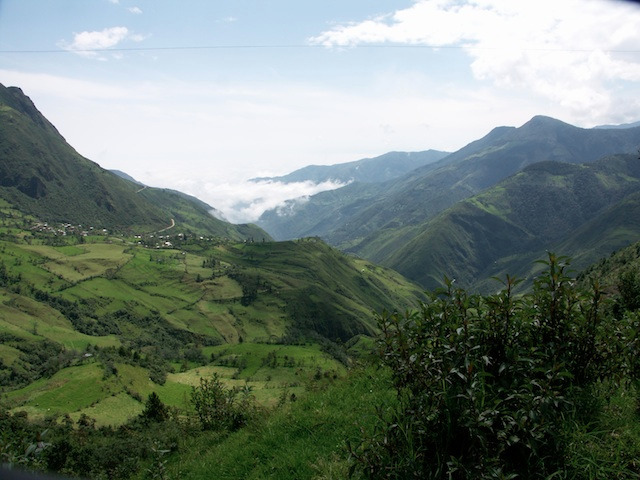 Who is wondering if you can travel with your youngest children in a country like Ecuador ? We bring you with this circuit an answer that will make the children happy and will have their parents serenity. A program adapted for a rythm and visits that will let you as a family an unforgettable souvenir. You will spend the night at Vieja Cuba hotel in Quito. 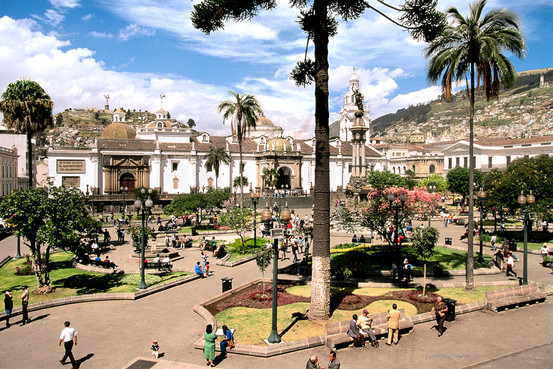 the Grand Place where are located the Presidential Palace (Carondelet) and Quito's Cathedral. At 11 am, you will attend the changing of the guard of the Palace. Visit of the Condors Park in the upper Otavalo and watch a rapace's flight show. You can get close to the condors, the Andes's emblematic bird. Departure from Otavalo to go to Oriente. You can enjoy on the way various types of landscapes from a saddle at 4000 meters to the Amazonian basin at an elevation of approximately 900 meters. You will have many opportunities to take photos on the road, over the green valleys and the waterfalls. 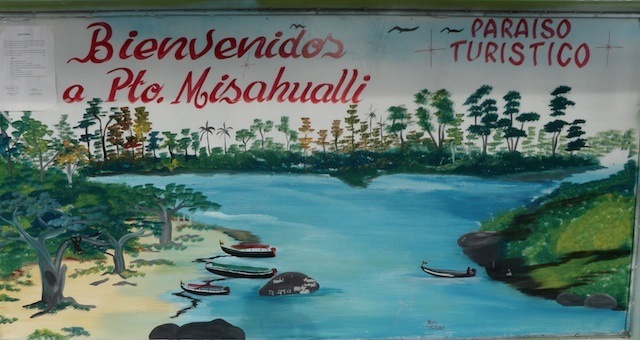 Arrival to Misahualli, stop for the night. This peaceful village on the Rio Napo is the entrance door to the Amazonian forest. You can watch a monkey colony gathering on the village square in the night, but beware your belongings as they are attracted by all shiny things. Option 1: HORSEBACK RIDING WITH GUIDE(S)) This unforgettable excursion is suited for both beginners and advanced riders. You go on a very varied trip, that takes about two hours and a half, under professional guidance and with well-cared-for saddle horses. The ride goes through rivers and brooklets, over hilly spots, with beautiful flora. You will enjoy wonderful views along the way. The whole trip takes place on the Hacienda Hakuna Matata property. Option 2: NATURE WALK WITH GUIDE This guided walk of about three hours and a half is quite an experience. A professional guide explains the medicinal properties of plants and trees and talks about insects and age-old customs in an entertaining way. Walking through (private) forest and fields, you become familiar step by step with the specific wisdom that has distinguished natives from non-natives for ages. You leave Hakuna Matata early in the morning for a two-hour drive. In a small native community on the shores of the Arajuno River, you go aboard of a motorized tree-trunk canoe. In contrast with the classical tours usually organized in this area, we chose a valuable alternative! This jungle trip offers a wide range of activities. The activities depend on the weather conditions, the number of participants and the specific interests of the group. Your guide will determine the route. A professional English-Spanish guide presents a wide range of flora (primary and secondary rainforest) and fauna (birds, amphibians and insects) during walks, canoe trips and observations. 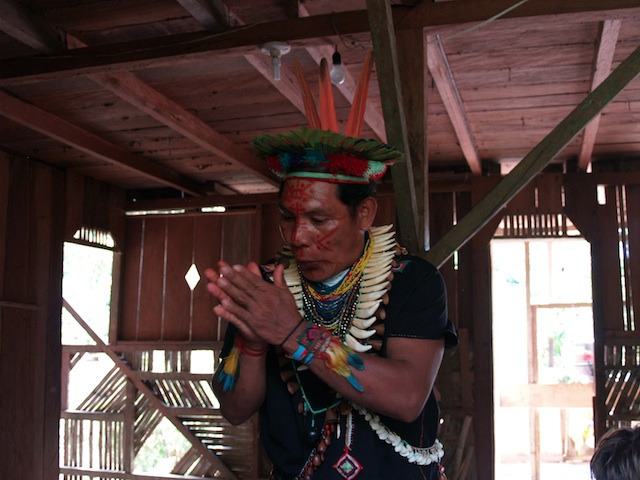 He gives explanation about medicinal plants, herbs and trees and their use by the native population. A lunch is served along the way.You are back at the hacienda at 6 PM. Dinner in Pangaea Restaurant. Full breakfast in Pangaea Restaurant. After breakfast: transportation (included) to Archidona. 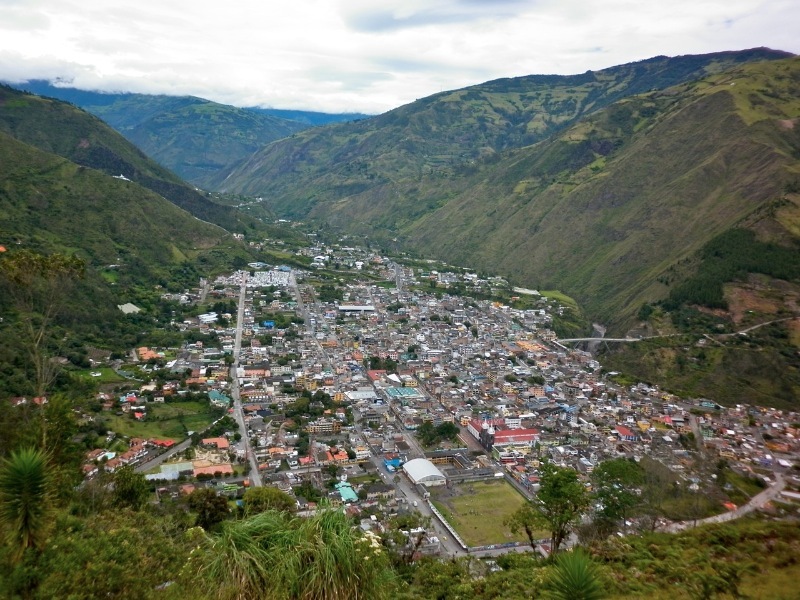 You will set off for Baños via the city of Puyo. 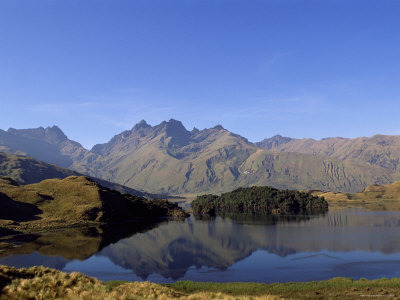 You will take advantage of the incredible change of landscape between the Amazonia and the Andes. But before hitting the road, children receive as a gift canopy tickets. The guide explains that it was Simon Darwin's favorite activity. The latter wishes that they can live this experience which he greatly appreciates. In Puyo, you will visit the botanical garden. Of each six species of orchids in the world, one is in ecuador. It is not hard to see that in just one place, you can see so many orchids. 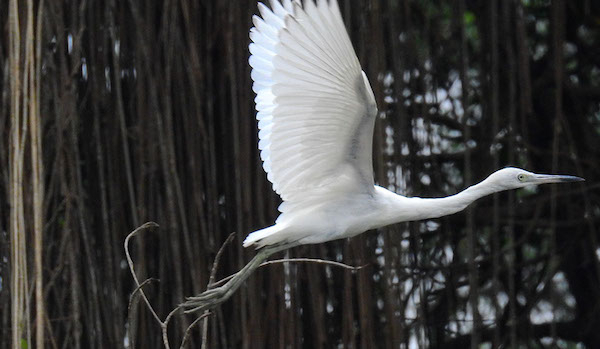 It has lasted 30 years to renovate the hectares of tropical forest. 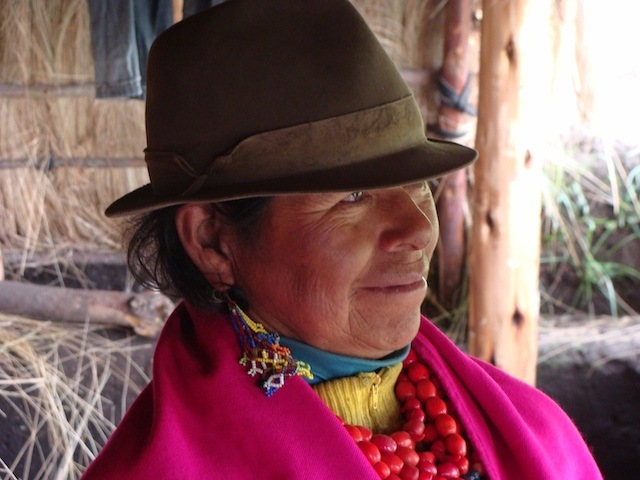 This site belongs to Omar Tello, and allows us to have a guided visit of this beautiful place. On the route you will stop near Puyo, where you will visit a center of rehabilitation for monkeys of the Amazone, "Paseo de los Monos", where you will be in contact with the animals. 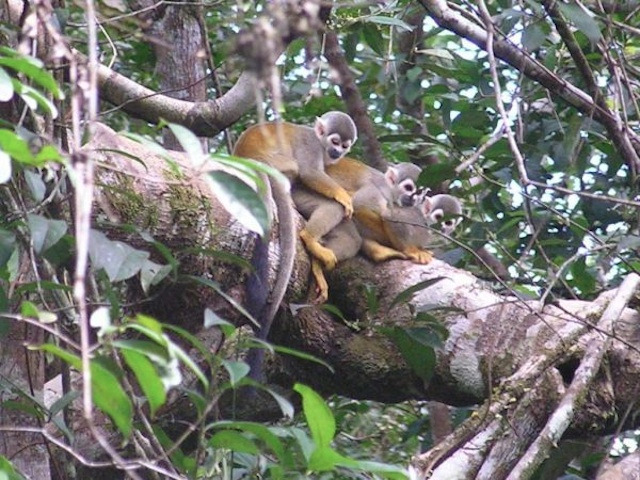 Six species of monkeys are present, the objective of the center is to help some of them who are sick or isolated with the purpose of liberate them in the future. You will spend the night at La Floresta hotel, in Banos. Journey to the "Waterfalls Road" along the Rio Pastaza gorges. 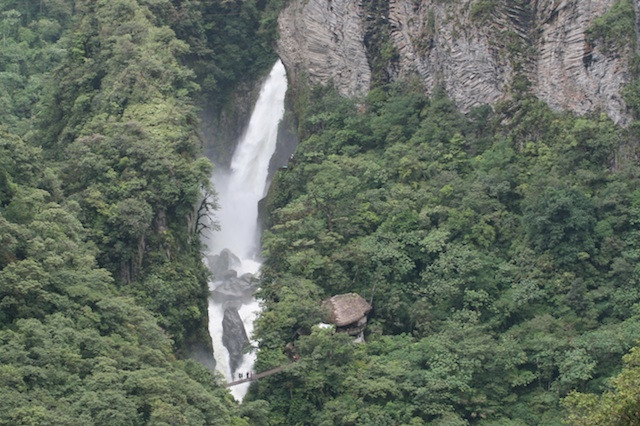 You will stop in Pailon del Diablo, the country's most famous waterfalls which you will be able to see from closer from a sightseeing platform. Further on the road, following the inca style, you can use a suspended basket called locally tarabita to cross the Pastaza and reach a waterfall called "Manto de la Novia". Direction the est side, amazing road who wil bring you to the Chimborazo' parc. 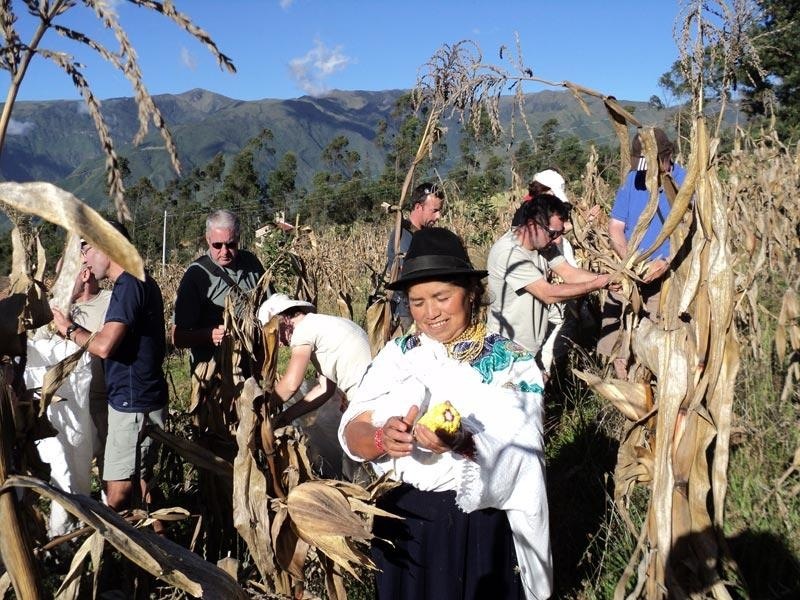 Visit of the Chimborazo natural reserve. In this "paramo" landscape typical of this Andean area, you are likely to see some vicugnas out of the 2300 specimens reintroduced in 1990. After driving up to the Carrel hut at 4800m you may get closer (optionnal, you can stay at the hut level if you consider not being in the proper cphysical conditions to climb) to the Ecuador's highest summit (6310m) by walking to the second Whymper hut at 5100m, not far from the snowline. Because of the extra earth's diameter on the Equator line, the Chimborazo summit is the most distant to the earth's centre. 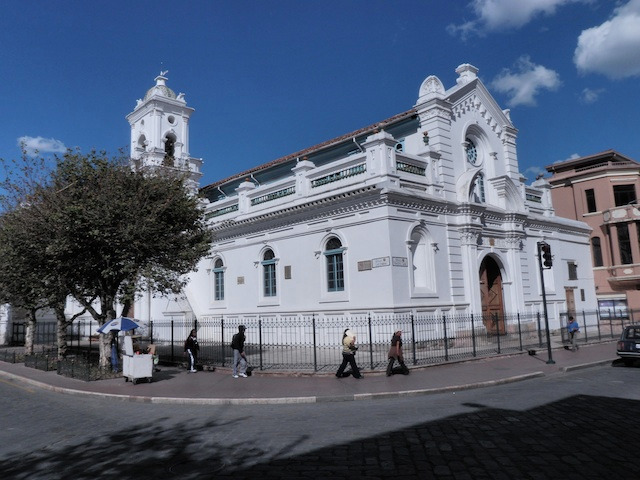 Journey to the South and to Riobamba a peaceful Andean town totally rebuilt after the 1797 earthquake. You will spend the night at Bella Casona hotel in Riobamba. You will spend the night at Victoria hotel in Cuenca. Visit of the Aboriginal Cultures Museum. This private museum shows the best archeological collection of the city. You will find there jewels and personal ornaments of a great value made with shells and precious metals. Course toward the mangrove of Churute. The ecological reserve of Churute aims at protecting the mangrove swamp, which role is essential to protect the coast from the attacks of the ocean and a large number of fishes and shrimps spend part of their vital cycle there. Finally, this strange universe shelters a crowd of endemic animal species and birds. 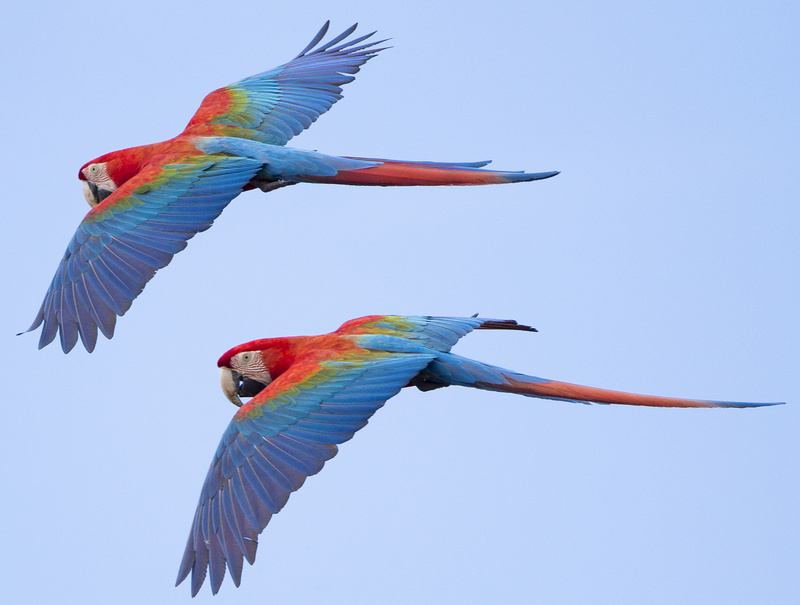 The visit will begin with a boat trip in the mangrove to observe the fauna.Then, you will make a small walking of approximately one hour on the path of howler monkeys where you may observe them. This visit will last approximately three hours. 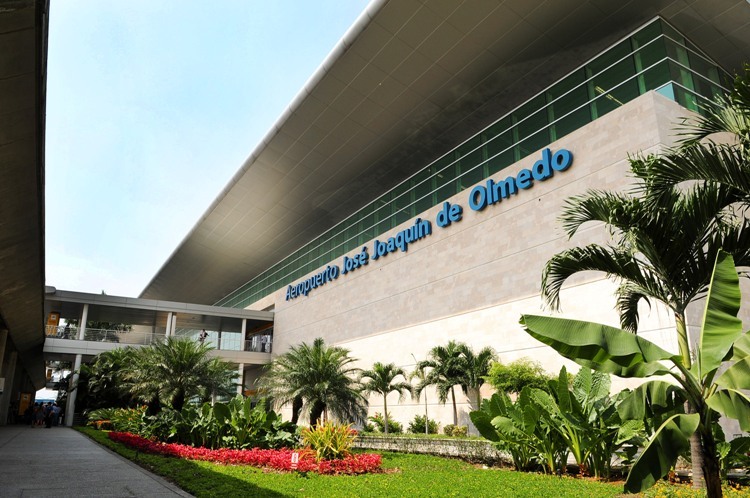 Departure from your hotel to the airport by private transport with a spanish-speaking driver.